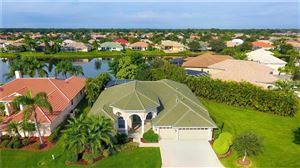 Laurel Lakes in Sarasota County is an ideal neighborhood for both first-time home buyers and seasoned homeowners who are ready to upgrade their real estate experience. Laurel Lakes is truly a 21st century development; it started slowly in 2001 and gradually matured into a community with more than 300 single-family residences that offer lots of value. In essence, Laurel Lakes is a neighborhood that would not seem out-of-place in the Palmer Ranch master-planned development; however, home buyers will find that this community has more to offer in terms of space and quality of life. When award-winning home builder Lennar purchase the land that became Laurel Lakes, the developers decided to test new home models that they had acquired from another construction firm. The result consisted of spacious floor plans that range from 1,900 to nearly 4,000 square feet with architectural designs that combine modern sensibilities with Mediterranean touches. As a seasoned home builder, Lennar knows what it takes to attract house hunters to Laurel Lakes; therefore, each single-family residence in this neighborhood features quality construction and extras such as gourmet kitchens, cathedral ceilings, covered Florida rooms, barrel tile roofs, and more. As of 2015, real estate activity in Laurel Lakes was brisk, with a dozen listings from $330K to less than $560K. 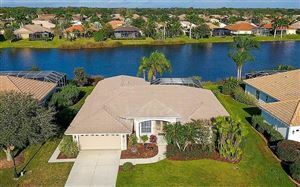 Considering the current housing market conditions in Sarasota, the new estates at Laurel Lakes seem like worthy investment opportunities. Aside from the ample, upscale homes by Lennar, Laurel Lakes residents enjoy quality amenities such as a swimming pool, tennis courts, clubhouse, fitness center, waterfront views, manicured landscaping and green areas. Although there’s a quiet, rural feeling to this neighborhood, Laurel Lakes is by no means isolated. A new shopping center complete with a Publix supermarket recently opened across the road from the community. Reaching the white sandy beaches of Siesta Key or the cultural offerings of Sarasota is a matter of driving about 25 minutes. 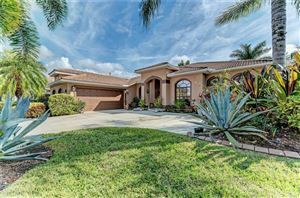 See all Laurel Lakes Sarasota Florida Homes for Sale.